A couple hours drive up the west coast of Vancouver Island is Port Renfrew, a small town with one store and a couple of motels. Most people visit for either Salmon fishing or hiking the west coast trail but there is also a provincial park called Juan de Fuca Provincial Park. This is the "botanical beach" in the park. 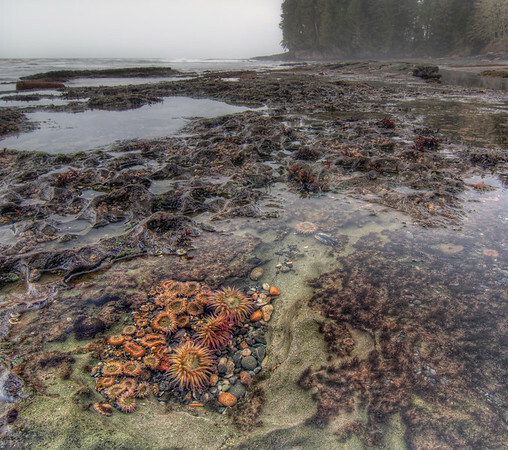 Along the beach there are a number of tide pools with ocean life. Low tide is the best time to go and view the little critters.